The U.S. Centers for Disease Control and Prevention estimated that 30,000 cases of Lyme disease are reported to the agency every year. In 2012, 95 percent of cases came from only 13 states, concentrated in the Northeast and Midwest. Traditionally, healthcare experts believed Lyme disease was virtually nonexistent in southern states such as Florida and Georgia. 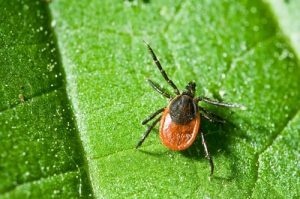 However, new research suggests that there are more species of Lyme disease-causing bacteria than previously thought, and healthcare providers may have to rethink what they know about this illness to ensure proper diagnosis. Lyme disease is caused by bites from ticks carrying the Borrelia bacteria. In the first 30 days after the bite, patients may develop a bull’s-eye shaped rash at the bite site, as well as fever, chills, fatigue, headache, musculoskeletal pain and swollen lymph nodes. Patients are usually treated with antibiotics to counter the bacterial infection. If the infection goes untreated for weeks, it may lead to meningitis, severe joint swelling, sleep disturbances caused by sharp pains, heart palpitations and loss of muscle tone on one or both sides of the face. Sixty percent of untreated patients experience recurrent bouts of arthritis throughout their lifetimes, and 5 percent of patients have chronic neurological problems such as pain and short-term memory deficits. Even with antibiotic treatment, symptoms persist in 10 to 20 percent of patients. Before 2013, scientists attributed Lyme disease cases in North America to just two species of Borrelia bacteria. However, research published in the Journal of Medical Microbiology described two new species of disease-causing bacteria that infected patients in Florida, Georgia, North Carolina, Texas and Virginia. Multiple strains of Borrelia have also been discovered in Europe. The researchers added that their findings explain why Lyme disease tests in the U.S., which usually detect just one species of bacteria, may be unreliable. Additionally, this study suggests that Lyme disease has gone under-diagnosed in southern states. Lyme disease can be difficult to diagnose because its symptoms are similar to a range of other diseases, such as fibromyalgia, chronic fatigue syndrome, lupus, rheumatoid arthritis, Lou Gehrig’s disease, Alzheimer’s disease and other conditions. The hope is that the new research will give providers who treat patients in these regions more diagnostic knowledge about the disease so that when they see individuals who complain about persistent fatigue, headaches, cognitive problems and musculoskeletal issues, they will consider Lyme disease as a possible diagnosis. The best way to prevent Lyme disease is to avoid the ticks that carry disease-causing bacteria. These ticks tend to be most active between April and September. If you’re walking outdoors, particularly around wooded areas, avoid bushy areas with high grass and stay in the center of hiking trails. Wear bug repellant that contains between 20 and 30 percent DEET or an effective alternative on all exposed skin and clothing. You should consult your pediatrician about what types of insect repellant are safe for children. Within two hours of returning indoors, bathe or shower and conduct a careful search for any ticks on your body. Inspect your gear and pets, too. Wash all clothing, then machine-dry on high heat. If you’re experiencing symptoms that could be caused by Lyme disease or another complex health problem like an autoimmune or neurological condition, consult with your health advisor, who can direct you to medical professionals who are up to date on the current research and can provide a second opinion based on your symptoms.